Chromebook vs Tablet – Which Should You Buy? The choice used to be easy. If you wanted a computer on the go, you got a laptop. Today though, those lines are blurred, with Chromebooks and tablets competing in the same space. Both can be cheaper than a traditional laptop, but which one should you opt for? 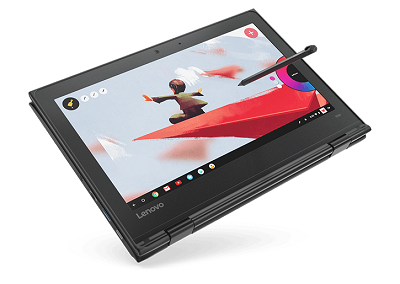 Whether you’re streaming Netflix, doing college coursework, or just looking for a device to use outside the office, a tablet or Chromebook could be perfect. We take a look at the benefits of both devices so you can see which one is right for you. Should you get a Chromebook or Android Tablet? Which is best for schoolwork? Either a tablet or Chromebook can be great for research – from delving into Wikipedia articles to streaming documentaries, both will do a fine job. For long essays though, you can’t beat a proper keyboard, so the Chromebook wins. Can you run apps on a Chromebook? Yes. In fact, most of the apps that you would expect to find on a tablet can be found on the Chromebook too. Some apps available on the Chrome Store might not be compatible with your specific Chromebook hardware, but that’s also the case for Android tablets. Can you run Office on a Chromebook? Yes. Microsoft has made Office fairly ubiquitous in recent years, making the smart move of selling it as a subscription rather than a one time purchase. It sells Office on many devices, including Chromebook. Only some older Chromebook models won’t be able to run it. It’s also worth noting that Google has its own range of office apps (Google Docs etc.) that are compatible with Microsoft’s products. Can you get a touchscreen Chromebook? Yes. Not only that, but some models – such as the pricey Google Chromebook, or the more affordable Acer Chromebook Spin 11 – are also compatible with styli. The touch screen on a Chromebook features the same functionality you would expect from a tablet. Can you get a keyboard for a tablet? The Chromebook and iPad are very different prospects, running different operating systems (Chrome vs iOS), but there are plenty of similarities between the two. Both can run a version of Microsoft Office (although it will depend on what Chromebook you have), and both can also run the Google suite of office apps. Both also have excellent battery life. You can expect around ten hours between charges from an iPad, and even more than that from a decent Chromebook. So which is best? It really depends on your own needs. If you’re after a more traditional laptop experience, then a Chromebook is right for you. While an iPad can arguably offer a similar experience with the addition of a keyboard, it doesn’t feel quite as natural as a Chromebook. 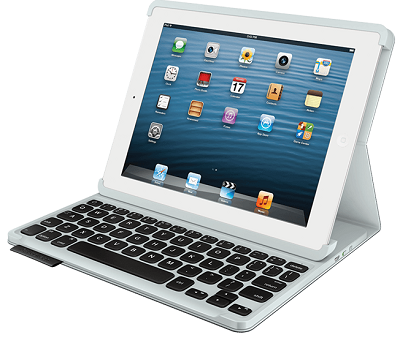 If space and portability are key considerations, then an iPad is worth a look. While Chromebooks are hardly monoliths, they are larger than a tablet, and won’t fit into a small bag quite as easily. If you need a device with a good amount of power, the iPad range beats the Chromebooks for the most part. 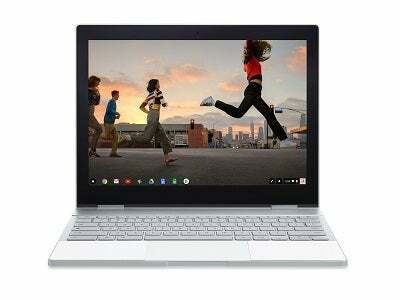 While there are devices out there like the Pixelbook, most Chromebooks operate using low powered mobile processors. These provide more than enough power to see out their daily tasks with ease, but try and run a demanding app and they could struggle to keep up. Apple’s tech, for the most part, is buttery smooth under pressure. How Much is a Chromebook? Chromebooks are known for being inexpensive, generally priced lower than the average laptop, and even the average tablet. You can expect to pick one up for around $200, although they can go lower if you can find one on clearance, or pick up an older model. 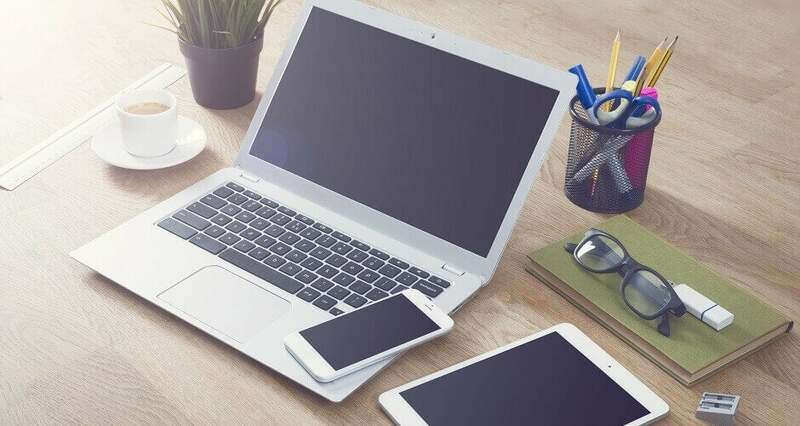 Of course, you can find tablets in a similar price range, although be aware that you’ll be making some compromises – these include a smaller screen, and the need to purchase a keyboard at extra cost. However, some Chromebooks are priced as premium products. The Google Pixelbook, an admittedly brilliant piece of tech, bucks the cheap trend at a wallet-weeping $1,000. That’s the same price as an Apple MacBook Air. The Android tablet, as least as we know it, is pretty much dead. The two prominent operating systems in the tablet world today are iOS and Windows, and while there are still some Android based models out there – such as the Samsung Tab series, or Amazon’s Fire models (which actually uses a bespoke version of Android)– they represent a dying breed. 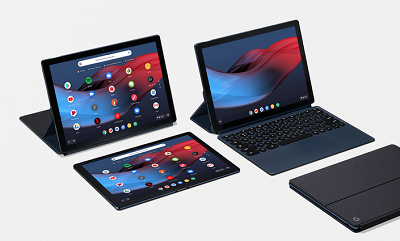 There has been a recent trend towards Chrome OS tablets, such as the Acer Chromebook Tab 10 and Google’s own Pixel Slate, and although they are still very much in their infancy, they are compelling devices. In essence, they are Chromebooks in tablet form (in fact, some even use the moniker Chromebook, rather confusingly). Choosing between a Chromebook or a Chrome OS tablet is a simple choice of deciding between two form factors. Do you want a tablet, or a laptop-style device? The other functions of the two devices are more or less identical.